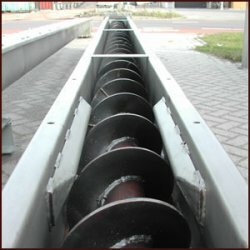 Accurate Works offers Screw Conveyors in market. This type of conveyor consists of a helical screw that rotates upon a single shaft within a stationary trough or casing. This conveyor used to transport material such as flakes, grains, powders, seeds and granules.